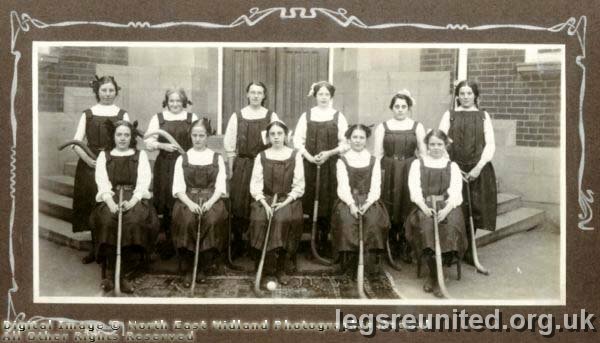 County Secondary School exterior - Girls Hockey Team. Image Date c 1910. Copyright © North East Midland Photographic Record. All rights reserved.